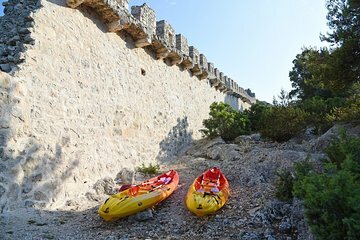 Paddle through the Grebastica area on this half-day tour with a guide. While you may not strike out into unfamiliar waters on your own, an accompanying guide will make you feel safe and provide all navigation. Make stops to go cliff-jumping and snorkeling, and pause for a snack of water and chocolate. Along the way, your guide will provide in-depth commentary on the local history and environment.